Following the hubbub over trans fats and their possible contribution to increased risk of heart disease and certain cancers, consumers not only are scrutinizing ingredient labels to avoid notably unhealthy fats, they actually are looking to incorporate more healthy fats and oils into their diets. Typically, they're keeping eyes -- and wallets — open for foods using polyunsaturated and monounsaturated fats instead of saturated ones. Among monounsaturates, the huge success story is olive oil. In the 1970s, it was a rarity found in Italian restaurants and few, if any, mainstream food products. Following the research that led to the promotion of the Mediterranean Diet by Oldways Preservation Trust (www.oldwayspt.org) in the 1980s, the oil's heart-healthy association put it in every U.S. pantry within a decade and created a consumer awareness of healthy oils that gradually overtook fear of fat. It also opened the door to manufacturers to utilize healthy oils from such sources as canola and sunflower. Recently, sources of healthy monounsaturates attracting attention include avocado, peanut, pistachio and grapeseed oils as well as oil from such nuts as walnut, almond and hazelnut. Like olive oil, these oils are rich in oleic acid, the monounsaturate closely associated with helping lower cholesterol and prevent heart disease. They also impart specific flavors that, while attractive and pleasant, limit their use in processing. Most have smoke points around 350°F, making them unsuitable for high-temperature processing, although certainly allowing for use in some baked and fried products. They also are quicker to turn rancid. Still, they typically are included in formulations for their flavor and health functions as opposed to product function. Consumers expect the same desirable characteristics from processed foods that formerly relied on saturates such as tallow and lard. This calls for a seamless transition to foods with both healthy fats and the pleasing characteristics that fats can deliver. Shoppers also now demand omega-3 fatty acids, especially docosahexaenoic acid (DHA) and eicosapentaenoic acid (EPA). This has presented a challenge to food manufactures and ingredient providers who have worked to provide a wider range of fats in foods than has ever been offered. 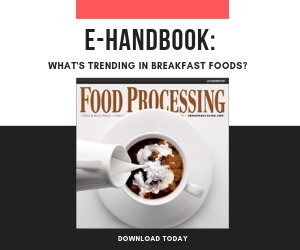 "Growing consumer awareness of health issues related to diet has led the food industry to utilize specialty fats in their food formulations," says Willie Loh, vice president of marketing for Cargill Oils and Shortenings (www.cargill.com), Minneapolis. "Specific examples include reducing trans fat to 0g per serving, reducing saturated fat content and adding omega-3 to qualify for nutrient content claims. High-oleic canola, sunflower, safflower and soybean oils have been used to address both trans and saturated fat. HO [high oleic] canola has a majority market share because it contains the lowest level of saturated fat." Cargill's Clear Valley Omega-3 Oil was created to cover all these bases and is billed as "the first of the specialty fats to enable customers to deliver an omega-3 nutrient content claim, according to Loh. You can read more about Clear Valley Omega-3 Oil in Loh's Formulating Ideas blog post. Fats tend to be less than cooperative in food processing. This can make the move to healthy fats somewhat complicated. In beverage formulations, for example, it's the nature of fats not to mix with water, making it difficult to fortify drinks with omega-3 fatty acids. But in food formulations, unsaturated fats are more fluid at room temperature and oxidize more readily than saturated fats. With omega-3s the darling of healthy oils, other hurdles have to be overcome. "Fats with high unsaturation, as is the case of the long-chain fatty acids DHA and EPA, are delicate compounds that can degrade and cause off-flavors and aromas that are undesirable," says Ruben Abril, director of international ingredient formulations and technical support for DSM Nutritional Products (www.dsm.com), Parsippany, N.J.
"However, if these fats are handled properly and added in the food production process using a systematic approach, the final fortified product will taste and smell as we expect them to taste and smell. DHA/EPA-fortified milk will taste like milk if it is consumed directly or if it is used as an ingredient to prepare other foods, and it will have the added advantage of now containing DHA and/or EPA omega-3s." DHA comes primarily from fish. This severely restricts its usage as the aroma and flavor are strong, reminding consumers of their last fishing trip. While microencapsulation technology and better processing threw the door open for wider use of fish-sourced omegas in foods and beverages, some promises of neutral aroma were still proving hard to keep. The increased use of the alphalinolenic acid (ALA) form of omega oil from flax oil has proven successful, but ALA does not completely convert to DHA in the body and that's the form with the greatest health benefit. Fish oil DHA is actually a modification of the shorter-chain omega-3 fatty acids ultimately derived from algae and research led to the discovery of algae that produced the longer chain DHA directly. This form has the advantage of providing the desired health components as fish oil without the negatives of aroma associated with that source. Algal omega oil is often referred to as vegan DHA. DSM provides life'sDHA brand, an omega derived solely from algae. Several different milk producers have launched products enriched with algal DHA in the past few years. "I've seen the growing trend in the fortification of foods with DHA/EPA, and it will continue to grow," adds Abril. "Long chain polyunsaturated fatty acids are extremely important fats scientifically proven to help support eye, brain and cardiovascular health at all stages of life." Market reports and news at the IFT expo show a flood of interest in omega-3 oils.